The dead rise with the Ghoul Purge Bounties in Warframe, which are coming to PS4 and Xbox One. Led by a deadly four-pack of Grineer Ghouls born from sacks in the earth — each with unique attack patterns and new weapons — and extensive new Orbiter customization options, this New Year’s update is free and scheduled for PlayStation 4 and Xbox One today. The grounds of the Plains have erupted with vile beings of Grineer origin – repugnant Ghouls that overrun their victims in a gruesome mass of limbs, toxin, and violence. Players will encounter them via a Ghoul Alert, or by stumbling across their graveyards (where they are “born” from the ground), through Incursions or Bounties. Dynamic Weather is also coming to the Plains of Eidolon in a system that brings rain, lightning, rolling thunder, winds, and cloud patterns. With the inclement weather, there is also an increase of fish spawns; Grineer have reduced visibility while it is raining, and weather can change day or night. Stay vigilant to take advantage of its benefits! Additionally, Focus 2.5 has arrived. It is the result of all the feedback and subsequent fine-tuning since the release of Focus 2.0 back with Update 22: Plains of Eidolon. Focus 2.5 brings with it more refunded Focus Points, reduced Node Costs, Shared Pool Capacity, and more. The final part of the update is the addition of Personal Quarters, with an array of fun items to add to them. 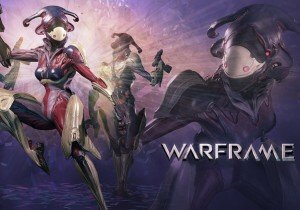 Customize the Orbiter with a mini-stage and place posable Warframe figures upon them and much more. Webzen's free-to-play strategy game, First Hero has officially soft-launched into South America, France, and Spain as of this posting.